I am in no way the spokesperson for all millennials, but there are few things that need to be said for how we are marketed to. In order for a company to be even half successful when reaching millennials, they need to have a basic understanding of what millennials are looking for in the brands they are attracted to. I see this fail often so it’s time to chat about what this looks like. Millennials – we grew up with the rise of digital media and were around for both the floppy disk and the invention of iPhones. Born between 1980 and 2000, we started digitally communicating on beepers, AOL Instant Messenger and Myspace, then transitioned to Facebook and Twitter. These days, many of us exchange videos (and gifs!) on Snapchat and Instagram. It’s a rapidly changing world of communication and as a result, we have quickly evolved. But, not all companies have kept up. The ones who succeeded have soon learned to change how they communicate. Over the past few years, companies have realized just how large of an influence millennials have on the market. According to a 2014 study by Accenture, millennials spend close to $600 billion dollars on consumer goods and have about 20 percent of consumer discretionary purchase power. Plus, by 2020, the 80 million millennials that live in the United States alone will have a combined projected annual spending of $1.4 trillion dollars in retail. That’s a lot of dough! With that kind of spending power, companies are racing to figure out how to best market to millennials to get a piece of the pie. Nowadays, we are looking for authentic companies with genuine messages and real people who are more interested in social awareness than just profit. Some companies have understood the “Millennial mindset” right away and others… well, they are having a more difficult time. Here are two specific examples of popular companies that have been successful and unsuccessful in connecting to the Millennial generation. Spotify allows millennials to stay connected to music throughout the day, while they are at work, going to school or commuting in between. (We love it at Javelina! I listen to it all the time.) Millennials make up 72% of all weekly streams on Spotify, according to Adweek. One way Spotify connects to its consumers is by providing a Discover Weekly playlist, curated especially for each person every Monday, based on their unique music interests. This personalized touch makes listeners more invested and loyal to the brand. This is an incredibly fresh, authentic approach to marketing that millennials love. This ad campaign was successful because it showed that Spotify was listening. With this type of data, they creatively illustrated how listeners were part of a story and showed the facts in a memorable way. 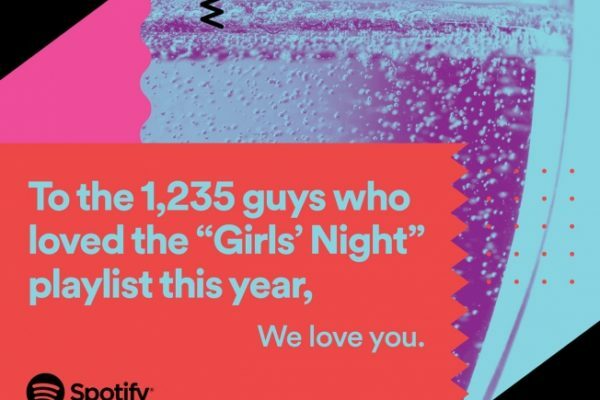 The approach to this personal data-driven ad both created and connected a unique digital Spotify community without feeling intrusive. As a result, Spotify’s Ad Awareness score increased by five points among all respondents according to market research firm YouGov. Pepsi’s infamous marketing fail with Kendall Jenner is the perfect example of a brand being completely out of touch with its target market. In this ad, Kendall Jenner posed as a model on a photoshoot during a protest. Wanting to be part of the action, Jenner joined the protest and in a dramatic moment, hands a Pepsi to a police officer, symbolizing a peace offering and the “end” of the protest. 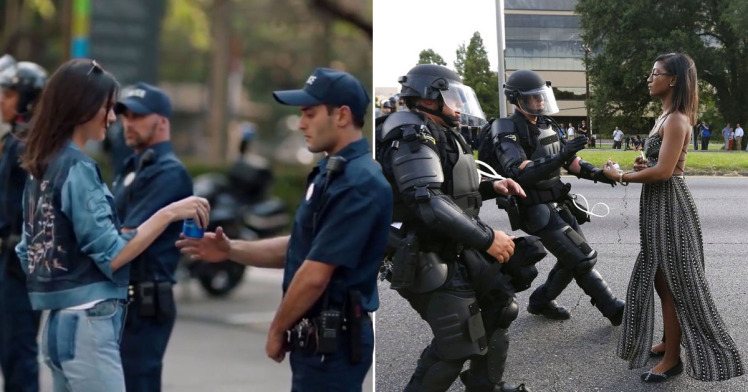 Specifically, the final moment of Jenner handing a Pepsi to a police officer mirrors a viral moment during one of the Black Lives Matter protests. A brave woman, Ieshia Evans, was arrested in Baton Rouge during one of the protests to stand up for people of color. The eery similarities between the two images struck a bad chord with millennials, minimizing the movements and causes that we are passionate about, like Black Lives Matter, the Women’s March and the Dakota Access Pipeline Resistance. So, millennials took to the internet in a united shaming of the company for the ad, creating a PR nightmare for Pepsi who released an immediate apology. Overall, there are a few elements brands should be aware of when creating a marketing campaign targeted toward millennials. Millennials look for genuine brands that connect with their customer. We see through the patronizing ads, and clogging our social media feeds with more ads won’t make us want to stick around. However, seeing a brand that is committed to causes and unique experiences will keep us interested. 2. Align your company with a cause. Again, millennials are more likely to be loyal to a brand that we think is doing good in the world. Companies that give a portion of their profits back to the community or companies, like Toms Shoes, are good to model after. With Toms, for every purchase made, they help a person in need. In turn, millennials will more likely to spend money on that brand. Millennials are glued to their phones all day. If your company isn’t marketing via mobile, you are missing out on huge piece of the market. As millennials, we are obsessed with sharing articles, products, and videos on all social media platforms. Let us be your brand ambassadors by having a solid mobile-friendly presence. Using social media is the number one way to communicate with millennial consumers because it allows for two-way communication. Being active and responsive on social media allows millennials to feel more invested to a company. According to Social Media Week, millennials check their phones 157 times a day. Having insight into what millennials are looking for can help a company drastically improve their marketing efforts. Millennials are a large part of the growing consumer market and they should not be underestimated. Using social media in new and creative ways allows companies to get a better understanding of what millennials are looking for in brands. Engage with us, share stories, and keep the above tips in mind next time you are marketing to our growing age group! Have a powerful campaign story to share? Get plugged in and let us know via Twitter or Instagram at @javelinaco! Conall is a student at Arizona State University and digital marketing intern at Javelina. She enjoys all aspects of telling a story and bringing it to life. 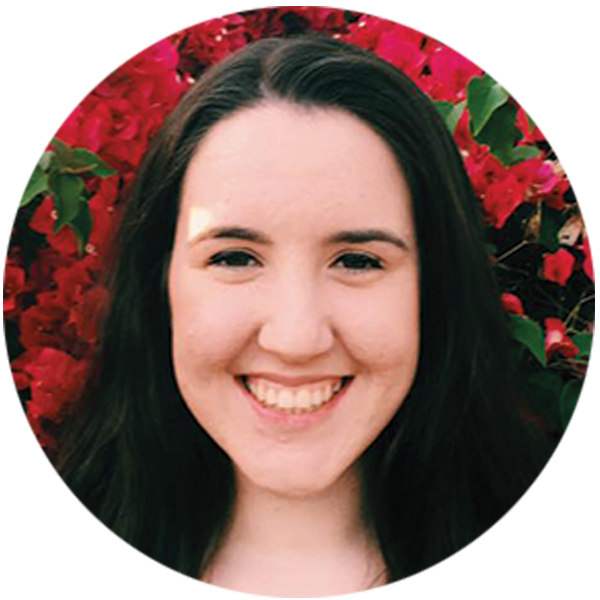 Curious and driven in her work, Conall believes that being thoughtful and making mistakes is an important part of her journey.